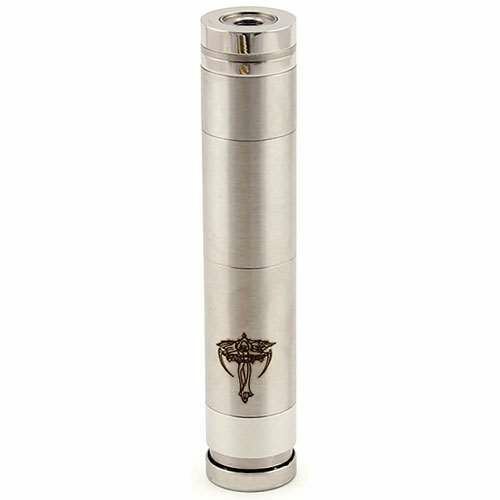 What is a Nemesis Mechanical Mod? The Nemesis Mod by HCigar is a mechanical electronic cigarette that consists of a simple and elegantly designed tube like device that contains raw battery power. The push of the button instantly heats the e-Liquid generated from the battery source and quickly turns that e-Liquid into a cloud of vapor smoke as you exhale. The only thing that’s needed to ignite this engine is a battery, a rebuildable atomizer, and a drip tip for inhaling. After everything is assembled the Nemesis Mod creates an effect that “hits like a train” says most people. The Nemesis Mod is not the traditional electronic cigarette. It is an advanced vaping tool that works only in conjunction with a rebuildable atomizer. The rebuildable atomizer itself can be a very complex component to put together especially if you are a new to vaping, in most cases though rebuildable atomizers can be built, re-built, and constructed for you at most local vape shops for a relatively small price.